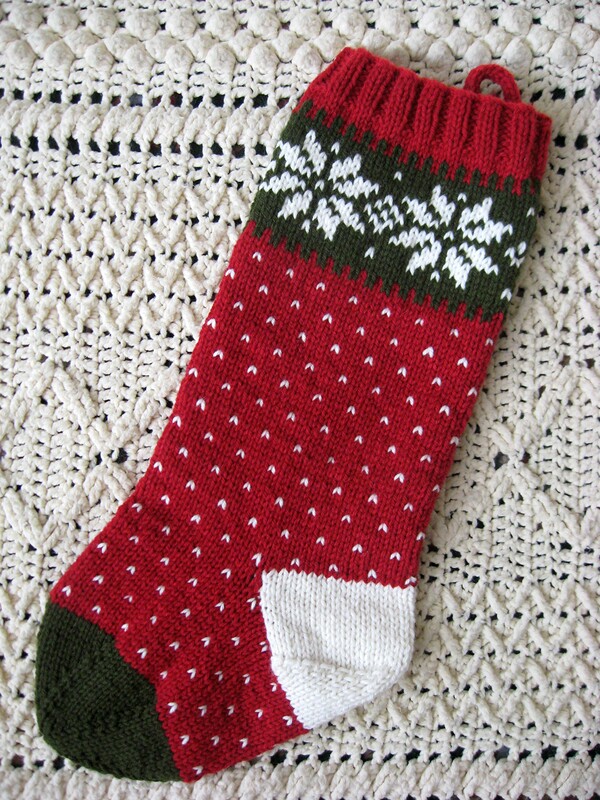 Do you knit gifts for the holidays? Do you start early and end late? 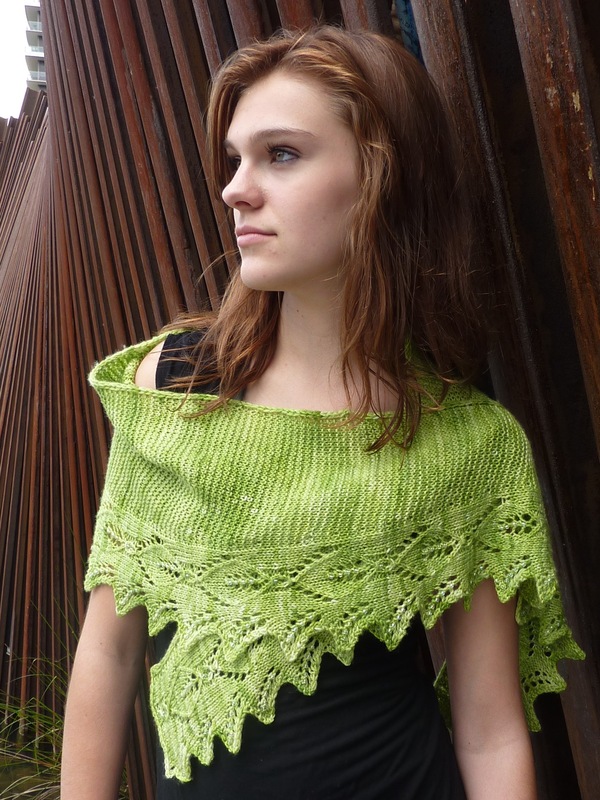 Do you get stressed out by your lengthy list of unfinished gift knitting? I’m getting stressed just thinking about it, which is why I don’t knit gifts. At least, not on those terms. I do my gift knitting under the radar, so it’s never expected. If I think someone might like what I’m knitting, it turns into a gift. But if I don’t finish the project in time, I give something else. No stress! But I have a gift for you. 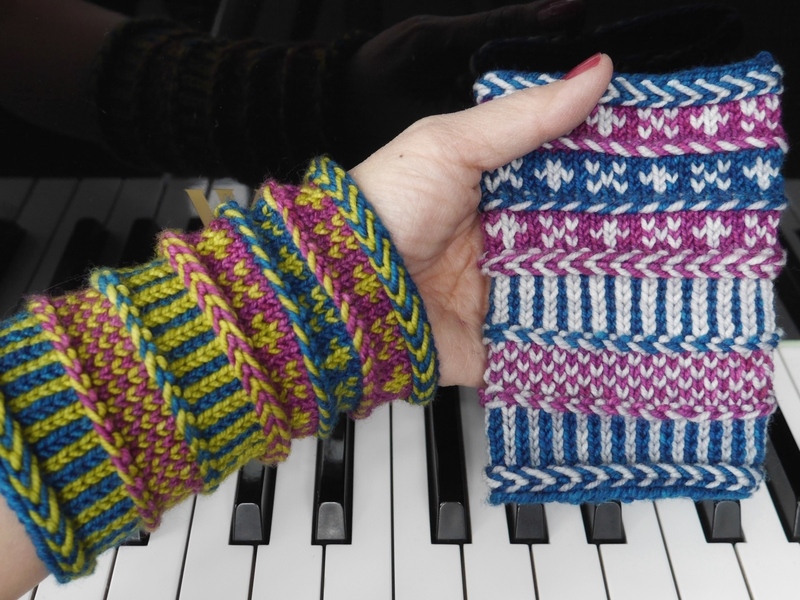 You can use it to knit for yourself, or for someone else. 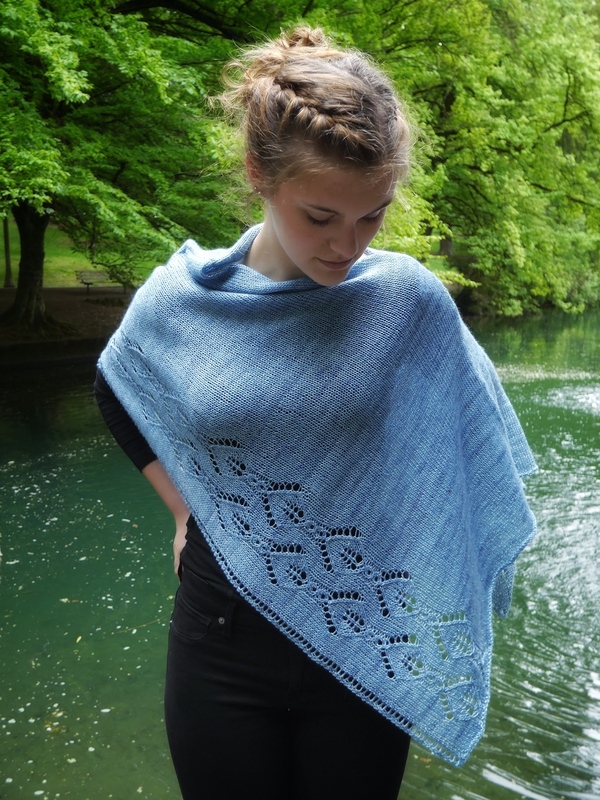 My As You Like It Cowls pattern is now free for download through Ravelry. 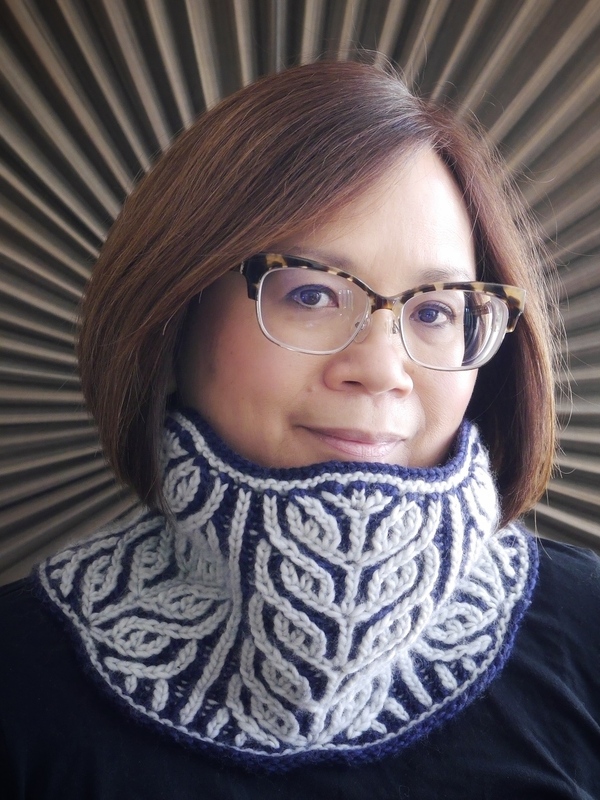 The pattern is for two cowls that can be worn three ways. This one is my favorite. It’s a simple broken garter rib stitch. You can see the stitch pattern better here. 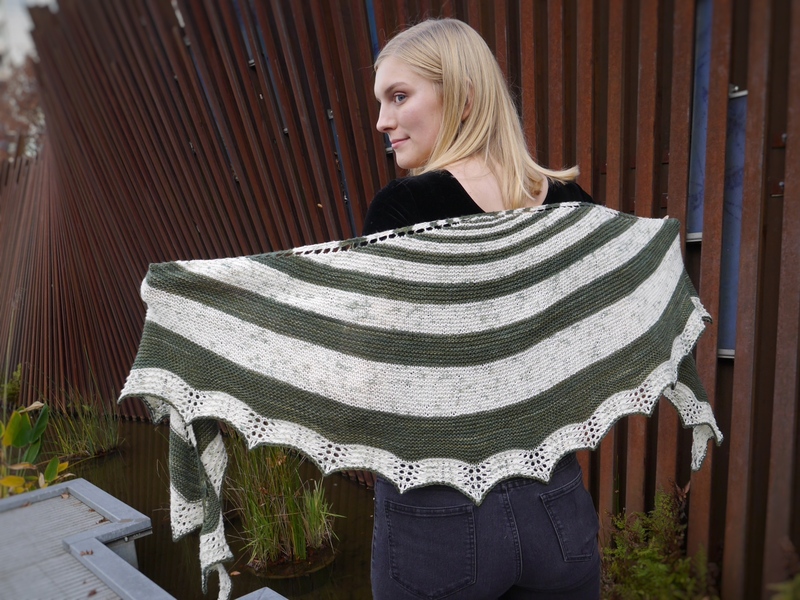 And some crazy pooling/flashing, too. 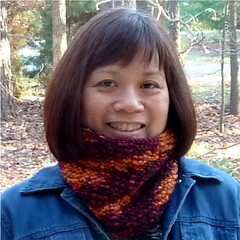 The other cowl is a 3×1 rib. I originally designed this set of cowls for a fundraiser knitting party for our high school foundation at the beginning of 2010. 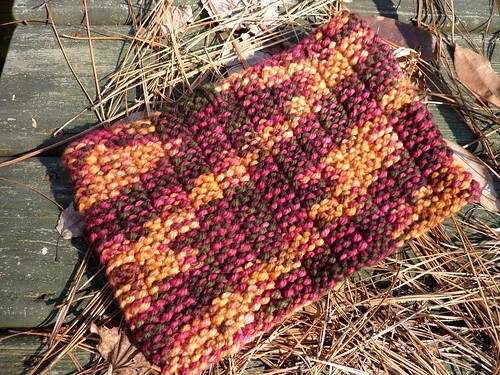 It’s a quick project with bulky yarn. Chewy! I hope this helps you with your gift knitting. Not a cowl person? 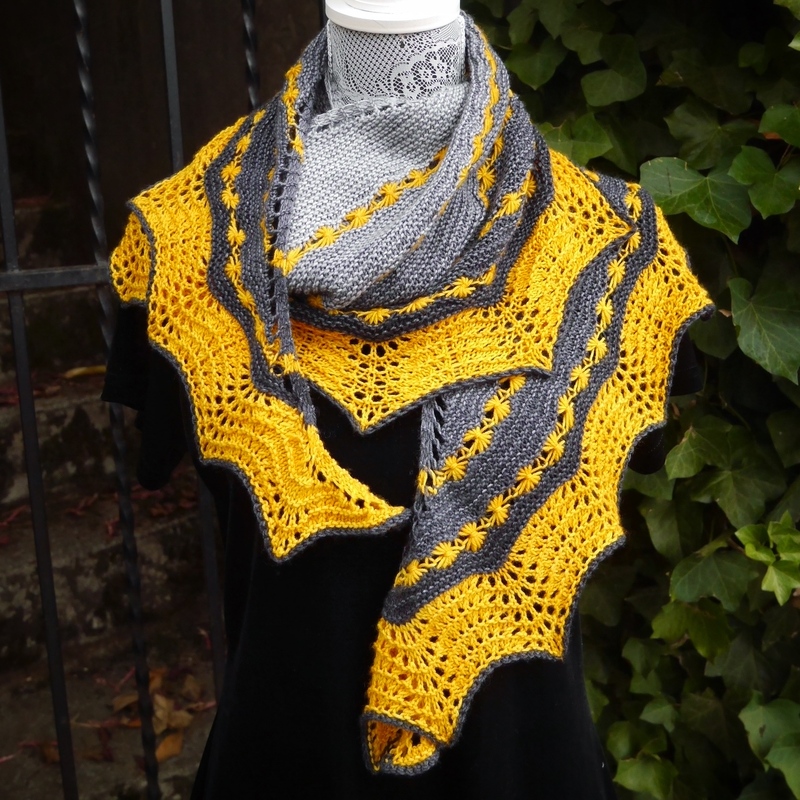 I’m also having a pattern sale, now through December 3, $1 off any of my pdxknitterati patterns, no limit. Enter the code giftknit at checkout. 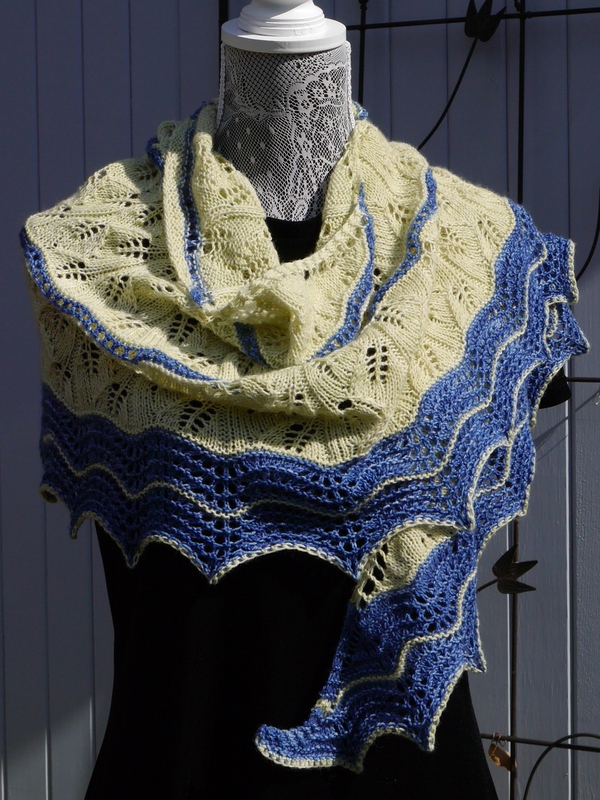 Here’s a link to my Ravelry design page so you can see what I have. 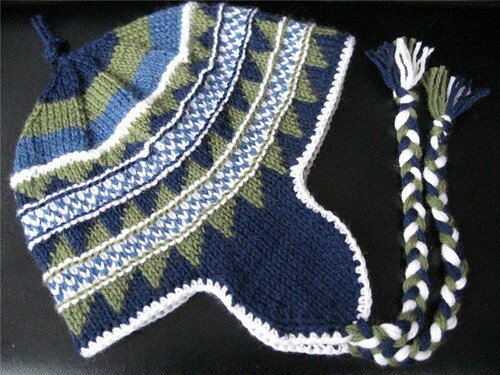 My current favorite is my Pippi Earflap Hat. 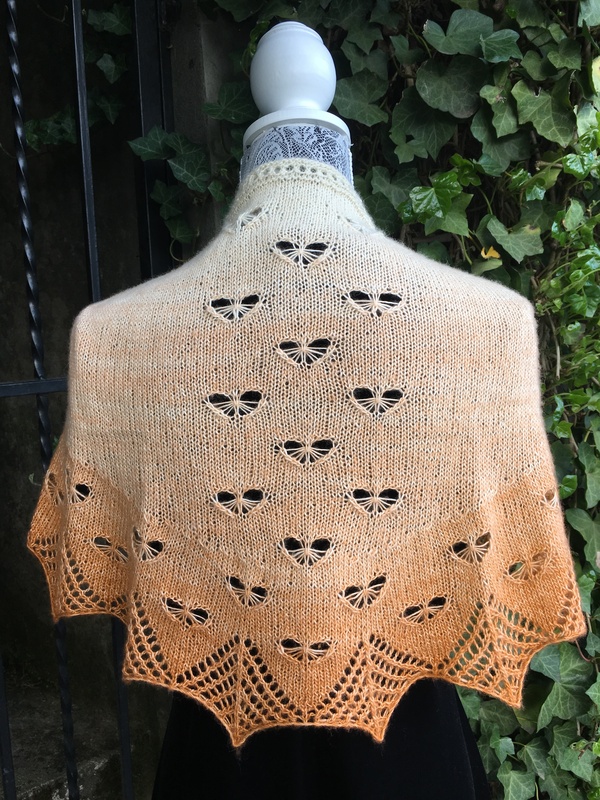 I knit two of these last week, the first because I needed a sample for my trunk show (I had given all my Pippis away as gifts), and the second because it was fun! Soooooo, are you knitting gifts? Under the radar? What’s on your list? Have fun! Edited to add: Edited to add: I just found out that if you use the buy it now button from my pattern pages, it doesn’t give you the opportunity to use the coupon code. You’ll definitely want to go to my Ravelry design page so that the checkout options come up before sending you to Paypal! Thanks. I try to knit all year starting in January. I do have a small stockpile of stuff to give, but as usual find myself still behind. 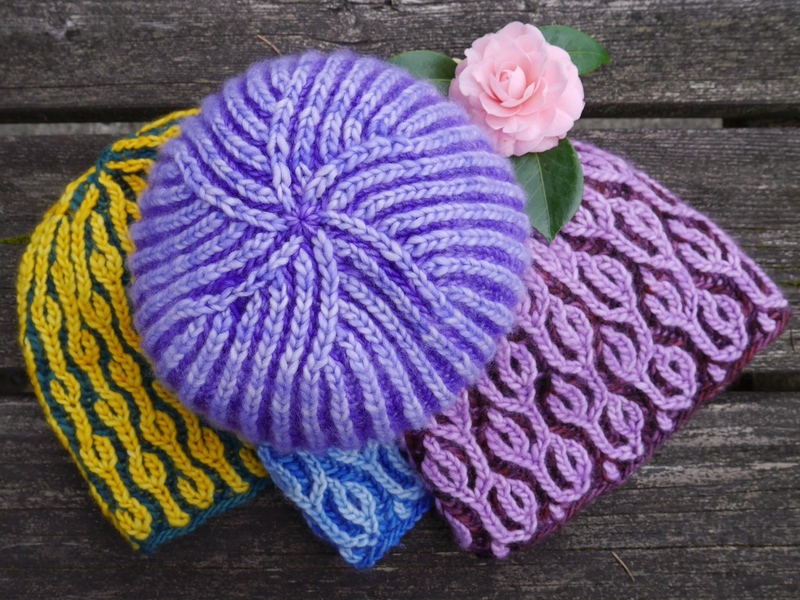 So, this next month, I’ll be doing up quickies, hats, mittens, dishcloths, soap sacks. I am making soaps, so the last two will be companion gifts. That’s a good way to handle it, knitting all year. good luck finishing this month! I’ve done two things for Christmas, one was unexpected and has been given early (mitts for my Mum) and the second is expected and will be finished in time (socks for my husband); Mum really liked hers and my husband is eagerly looking forward to his second ever pair of handknit socks. 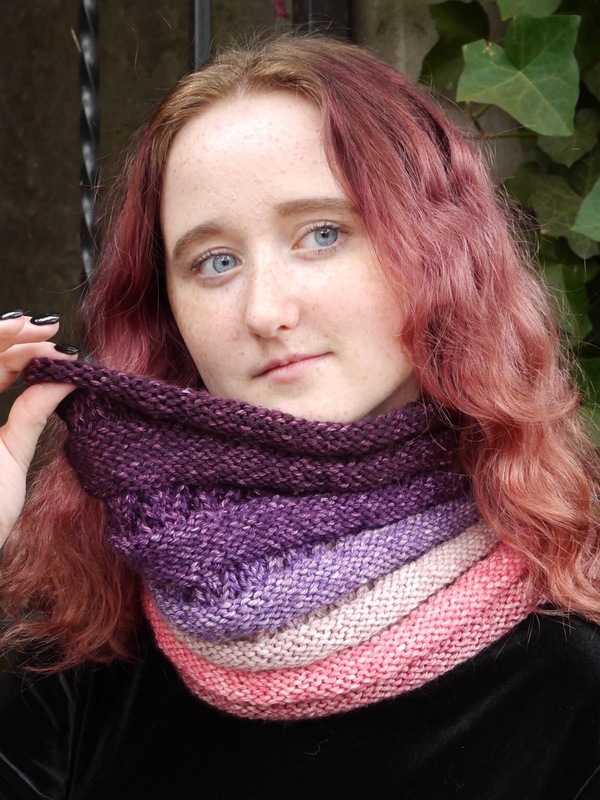 The ribbed cowl shows off handpainted, stripey yarn beautifully. Such a sweet offering. Deadline knitting, eek! Good luck getting it all done. I know you will; you’re the most prolific knitter I know. No gift knitting for me this year (except for a gift scrapbook). 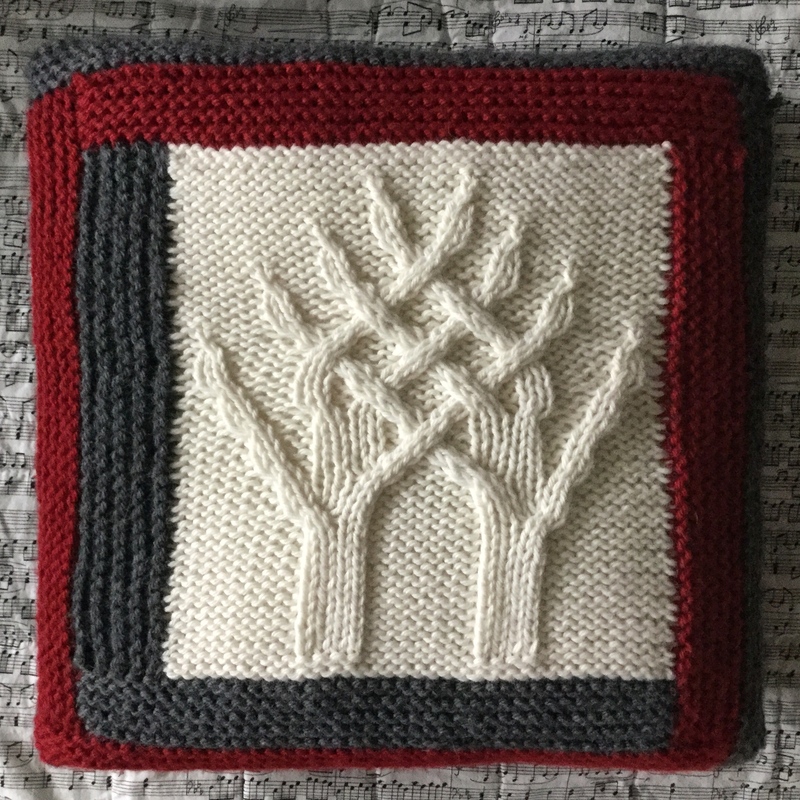 The one year I made lots of knitted gifts, I started in August . And I also tried to stick to smaller items. Sadly knitted items aren’t worn by too many of my family members (none of them really wear hats). 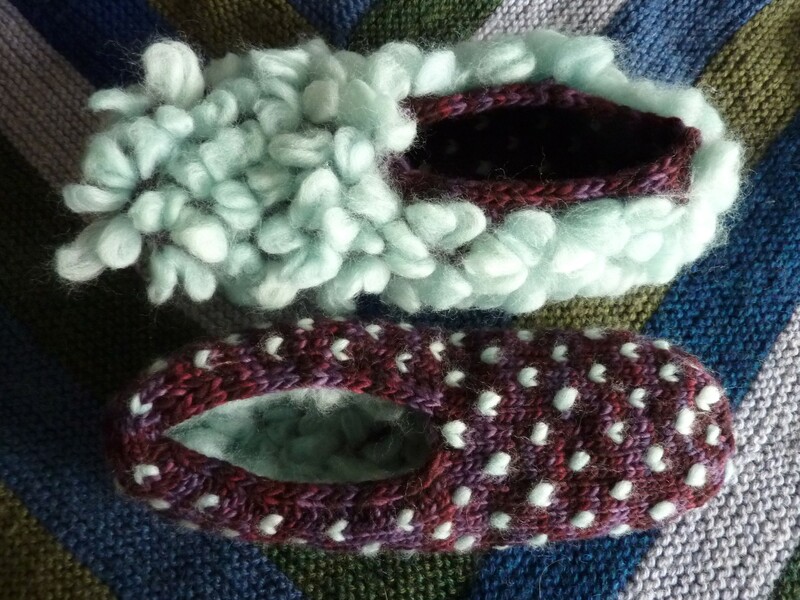 Yes, when I do give knitted items, I give them to people who will really appreciate them! Thanks Michele! 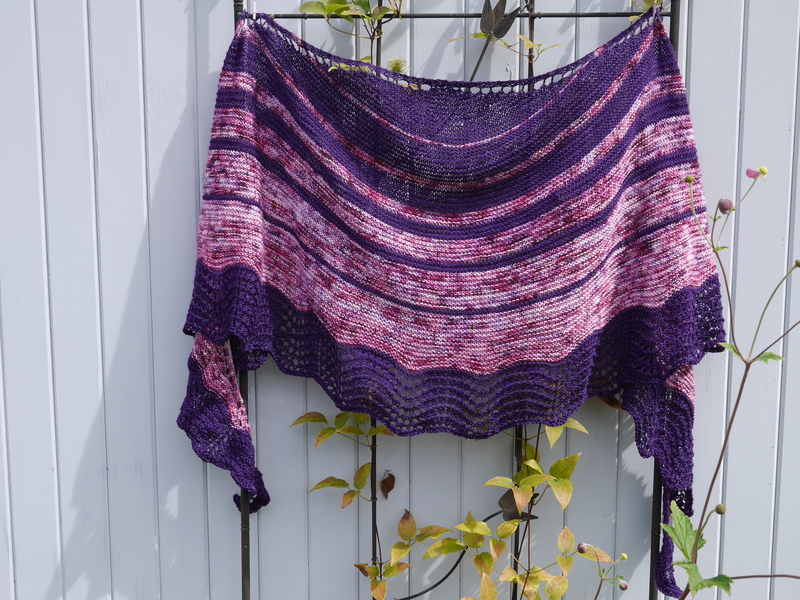 Like you – I don’t necessarily start a knitting project with a recipient in mind – it isn’t until after I’m finished that I think “Hey, so & so might like this”. Certainly takes the stress away. 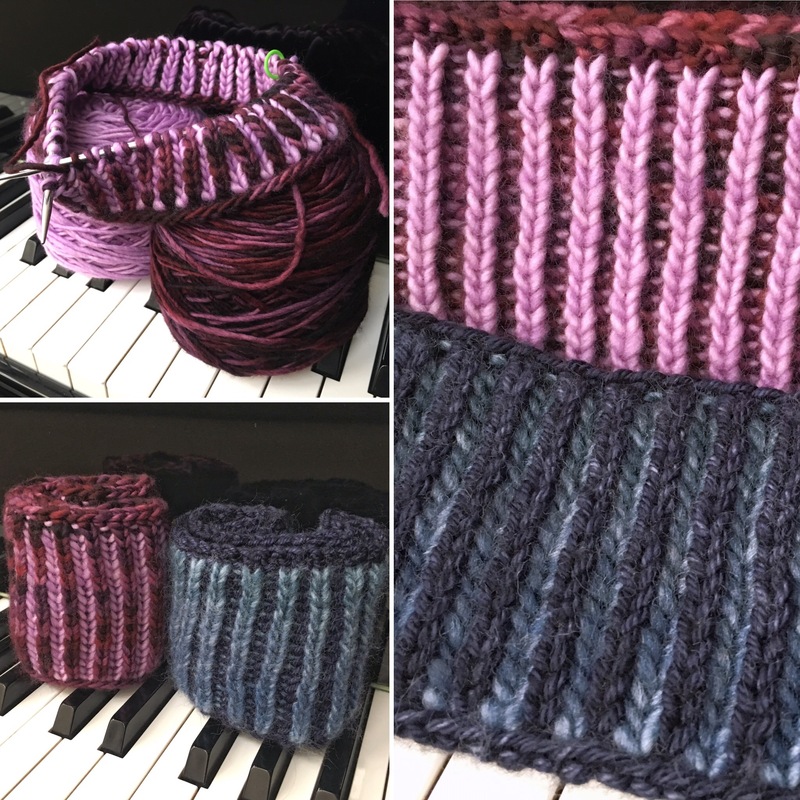 I’ve just started knitting some cowls thinking they might make nice gifts for the boys’ teachers (I gave them hats & mittens last year) – thanks for sharing your wonderful pattern; what timing! No seasonal gift knitting for me! My family decided a long time ago that Christmas was way more stress than fun and we’d all be better off skipping the whole thing. 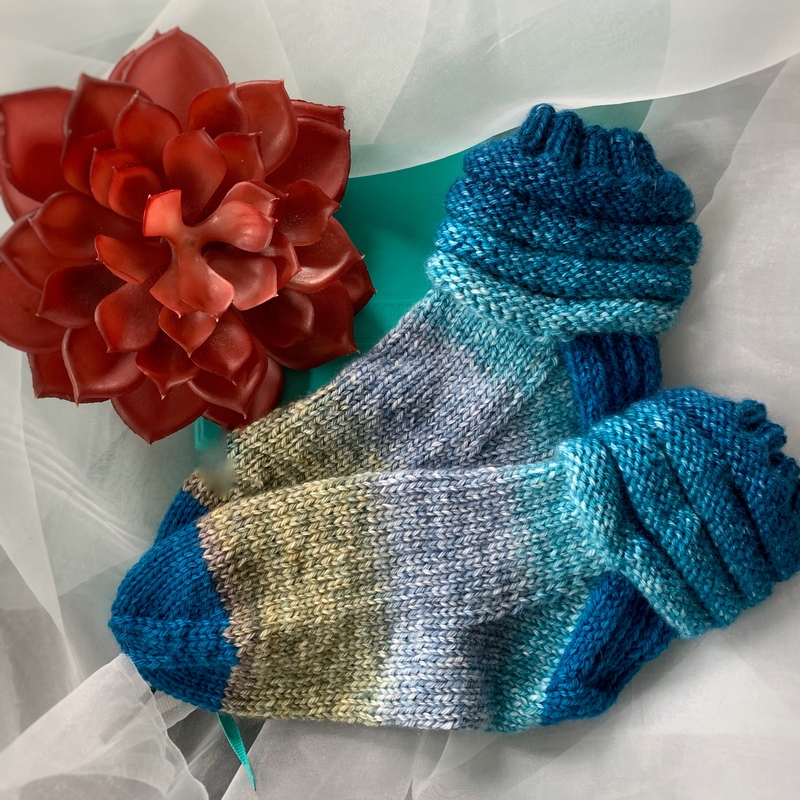 I do my gift knitting just as you described — under the radar and never when it’s expected. So much less stressful and more appreciated that way!